A trinket is typically thought of as a small item of little worth. Its value comes from what it means and the memories it holds. 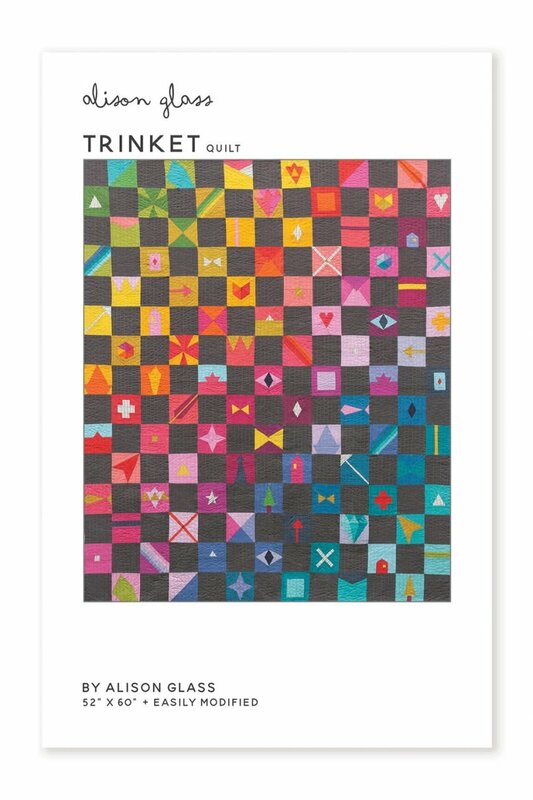 The Trinket quilt is about the process and act of creating as you connect personal meaning to each block. The fun is in the making! Trinket uses the foundation paper piecing technique. It includes templates for 40 different 4” blocks and detailed foundation paper piecing instructions. This 4 part class will focus on fabric choice, layout, craft and creation. Join us as we help you celebrate the little things though fabric.